Palestinian President Mahmoud Abbas will hold a meeting in New York on Wednesday with senior officials representing 40 countries and international organizations to discuss ways to block or influence the upcoming U.S. Middle East peace plan, Israeli officials and Western diplomats told me. Why it matters: This is Abbas' most proactive diplomatic step since Trump's Jerusalem embassy announcement, which led him to cut ties with the White House. Since then, Abbas has been campaigning against the Trump administration's policies on the Israeli-Palestinian conflict. Abbas is trying to rally the international community against Trump and challenge the White House claims that he's undermining a potential peace process. 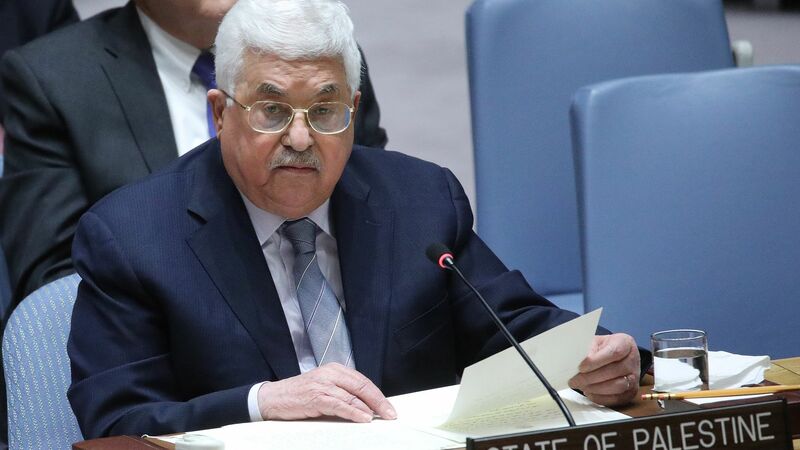 According to the Israeli officials and Western diplomats, Abbas invited to the meeting all the main countries that have a role or an interest in the Israeli-Palestinian peace process. All members of the UN Security Council were invited other than the U.S. Israel was also not invited. It will take place at the Grand Hyatt hotel, under the theme: "Salvaging the Two-State Solution, Defending the International Rules-Based System." Discussing steps to defend against the threat posed to the two-state solution by the ongoing and expanding Israeli settlements. Proactively protecting UN agencies and organizations that deal with the Israeli-Palestinian conflict, like UNRWA. Launching a credible and effective political process that seeks to achieve the two-state solution while reaffirming the centrality of international law and UN resolutions. The interesting part in the document is the claim that Trump's shift on the Israeli-Palestinian conflict is part of a long series of steps to undermine the world order of the last 70 years. The Palestinians wrote that preserving the two-state solution is one of the basic principles that should be supported by all those who reject Trump's policies that undermine world order. Israel doesn't like this meeting at all and has ordered diplomats around the world to lobby governments who were invited to the meeting not to attend or to lower their level of representation as much as possible, according to Israeli officials. The Palestinians think most countries will send senior diplomats but not foreign ministers to the meeting.